As the negative impacts of global warming are being felt all over the world, new studies are revealing even more alarming evidence about climate change and its dire consequences. Unfortunately, penguins are no exception. 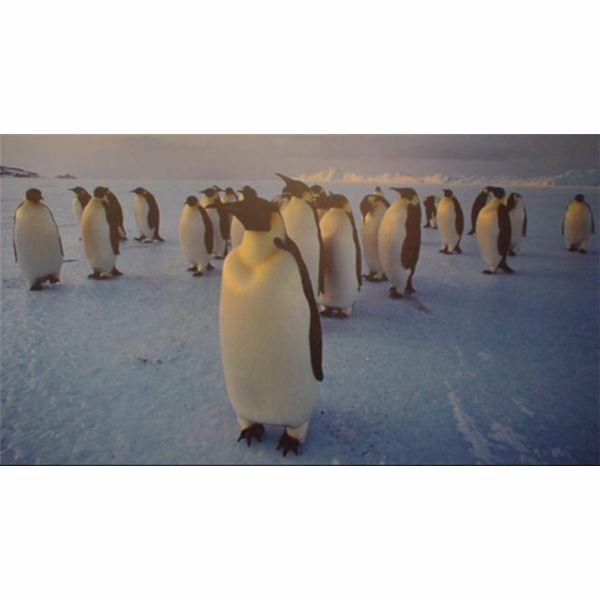 A new report released by the World Wildlife Fund (WWF) indicates that between half to two-thirds of the colonies of penguins in the Antarctic could be faced with sharp drop offs in population due to climate change which could result in massive die offs of penguin populations. The findings came after a massive operation was undertaken by the WWF in an attempts to rescue hundreds of penguins that oddly became stranded on the beaches of Brazil’s coast more than a thousand miles away from their nesting grounds. The rescue efforts returned the penguins to their traditional nesting grounds in the southern ocean. r. This can be devastating for penguins as it diminishes their habitats and their access to food, fish which are also being effected and reduced due to rising sea temperatures. If massive changes to curb global warming are not made soon, we could see a drastic loss of penguins running as high as a loss of 50 percent of Emperor Penguin populations and as much as a 75 percent loss in populations of Adelie Penguins. This is on top of the significant decline in penguin populations that we have already seen due to the effects of global warming which have decreased the area of available ice by as much as 40 percent compared to the amount of ice from just a quarter of a century ago. These massive changes and warming trends over the past 25 years are having a brutal effect on the penguin populations, as well as several other species around the world. The rising temperatures caused by global warming are not only melting the ice but the warmer waters are also beginning to alter the currents of the ocean which can also pose great danger to penguin populations and other coastal and marine life leading to hundreds of penguins being caught up in altered currents that lead them miles from their home and into much warmer conditions than they are equipped to handle. This is but one example of how global warming is threatening our planet. We need change, and we need it now if we are going to be able to protect threatened wildlife and ourselves from these changes.